When you spend most days at home alone with young children the twelve hours between wake up and bedtime can sometimes seem impossible to fill. I like to keep things as varied as possible for the sake of my own sanity so I try to mix things up with Caterpillar on my non-working days. We go to a toddler class, visit friends and family or even just break up the day with a trip to the park or the library. Let’s be honest, none of this “help” makes housework quicker or simpler for us but I think it’s good to get children involved sometimes as it makes them feel important and they get extra time with you. It also helps them to understand that you simply can’t spend all your time with them which is a good thing too. Before having Caterpillar I worked five days a week with a long commute so one of the many changes that caught me off guard when becoming a parent was suddenly spending a lot of extra time at home. One way to make that transition easier is to make your home as beautiful and comfortable as you can. 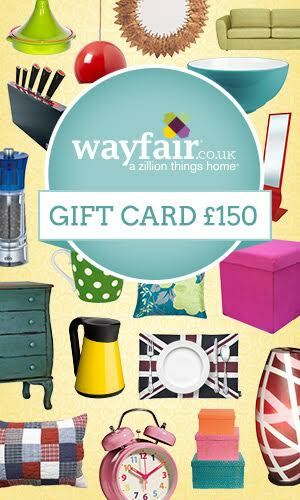 The kind folks at Wayfair have offered the chance to win a huge £150 giftcard to spend on their beautiful selection of homewares. There is so much choice from furniture to cookware, lighting, beautiful home furnishings and so much more. Enter below for your chance to win. Lovely giveaway thanks! Lovely to hear little caterpillar enjoys helping you around the house! I think this is a wonderful idea. Both my niece and my nephew live with me an we have always encouraged them to take part in the household chores, firstly by making It a game when they were younger and then later by plain old bribery!!!! I think it is good to get the children involved. There are some wonderful tips for getting little ones to help. Kids love pushing buttons, bless them. It is hard to pull yourself away from play time to do the dishes instead. Lovely thanks. We always get help tidying from the toddler! Thankyou for this generous giveaway! Wayfair do so many beautiful things! fab prize to win. I need a new computer chair. My Sister – in – Law always expected her children to put rubbish in the Livingroom litter bin as soon as they were finished, as soon as they could walk. Her own Mother had been a stay at home Mother, and had brought up children to tidy up after themself, clean up after themself, pay a portion of each household bill. They lived in their bedrooms, whilst Parents lived in the Livingroom and retired to their bedroom to sleep. Only Parents guests were brought into Livingroom. Children, even when they became adult whilst living with their Parents took their own guests to their bedroom. This meant the Livingroom was clean, tidy, quiet etc for Parents use. So unlike my own upbringing all guests were brought to the Livingroom, as was seen as visiting the family home and family. We all made guests welcome and interacted together. Meant that family members got to know each others friends etc. Toddlers are part of the family, becoming mobile and more independent, they quickly learn. It is good to safely involve them in everyday tasks. Then they are enabled to be an active family member, know and accept what is allowed, what Parents will allow them to do with Parental assistance etc. Can be good for developing Social Skills, Communication, Respect etc. Children develop, and need practice to improve on skills etc. Fab tips for getting little ones involved in household tasks, they are sure to help Caterpillar grow into a beautiful butterfly. It is amazing what you can get kids to do if it’s made to be fun! Fab post and giveaway, thanks! Wonderful giveaway. A lot of great items to choice from. Our children loved helping – I think it was the idea that they were doing something “real”. Thank you for a lovely giveaway. 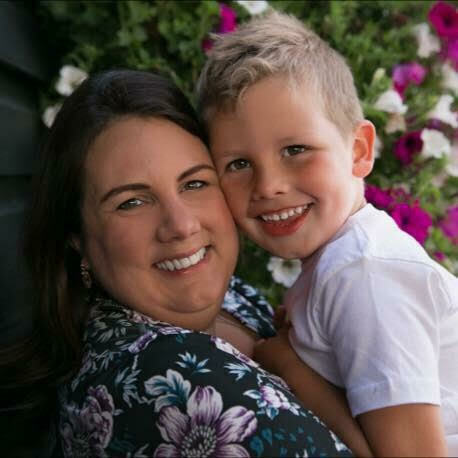 Great tips on getting little ones to help and a fantastic giveaway. Thanks for the competition and mentioning wayfair, Ive not shopped there before and they sound really good. My daughter has always loved helping – at times I have to remind her that I’m the mother! My son’s totally different. The only job he likes doing is taking the bin out! Less toddler I need to share chores with, more the mr. I think it is important to get your children to help out, it gives them a sense of independence and responsibility, it teaches them life skills while also bonding and spending time with your child, great post! Great give away, thank you for the chance to win. Good Luck everyone. My youngest loves to “help” brush up, she spends ages carefully sweeping up….. only to drop it on the way to the bin!!!! But she loves to help so I let her and then clean up after she has finished!!! Great Ideas! My little ones love feeling helpful. Another great one is giving them a damp cloth and letting them wipe down the walls to get rid of all those little mucky handprints which I never get around to doing! Great competition, they do some lovely furniture. I would choose either a sideboard or toddler bed witht he gift card if I won. Thank you. Great prize, would love to win! Thanks for this giveaway! a really lovely giveaway-would be great to get some fantastic items. Thank you for the giveaway. I’d be able to buy some lovely things for my bedroom, living with hubby and two boys it’s the only girly part of the house I have! I love browsing Wayfair, some great stuff! What a great prize. Its sure to be very useful. I’m a new follower! Fantastic Blog. I like to get my two boys involved with the cleaning. I find a pack of baby wipes for dusting and cleaning works wonders! This is such an informative and entertaining blog and the giveaway is amazing ,SO many lovely things to buy for the home from Wayfair. Fab prize! Need lots of stuff for our new home! Great giveaway. You’ve reminded how much a handheld vacuum would make like a lot easier for me. 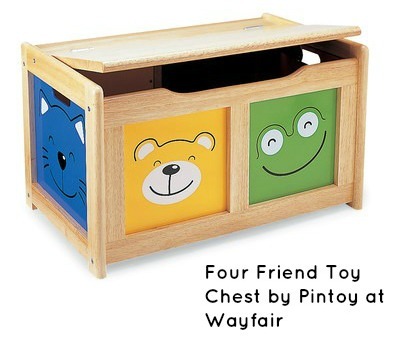 I love the huge choice of children’s bookcases on Wayfair. Wonderful prize and such a great range to choose from! Wow, generous giveaway! Love Wayfair, they sell such lovely things. Fingers crossed! Wayfair have such a large collection of products, it’s hard to choose what to buy! Thanks for the great comp and the opportunity to win. Let your kids know that doing chore is a part of their daily routine – like homework time, or bedtime stories. I love Wayfair. Such a great choice of home items. I like the Neon Tube 137cm Standard Floor Lamp in red. Ace giveaway and an interesting blog, thanks. Fab giveaway. thank you very much! Really lovely blog post. I had to get my friend to read it as she has just starting getting her daughter (my goddaughter) to start helping with chores. She’s five. Fab competition – Wayfair seem to sell no end of gorgeous household stuff! I get all four of mine helping with the housework. My two toddlers definitely enjoy it more than the older two! Fab giveaway, there’s some lovely products to choose from. It’s wonderful and frustrating when they are at the age when they want to help with the housework. Not so much fun when they get older and you have to sit through a, Royal Shakespeare Company worthy, tantrum as to why it is “so unfair and slavery” to expect any help. What an amazing prize, they have so many nice things to choose from, thanks for the lovely giveaway. I’ve finally redecorated my living room! This would be perfect for the finishing touches! Thank You so much this is such a fabulous post & competition. It’s always a good idea to get the little one’s helping in the house from a young & safe age. I love Wayfair – great giveaway! I really like Wayfair as they have some unusual pieces. It’s a good place to go for inspiration. Would love this so I could buy the AlpenHome stag bedding for my room! My boys help with the housework I work full time and am at university so it’s all hands on deck! Great idea to teach them that house chores can be fun and should be shared. Brilliant giveaway. I could makeover my bedroom with this. I think it’s vital to get your toddler helping with chores, they find it fun & it certainly teaches them responsibility. There are so many things I want to buy from Wayfair! Fingers crossed, I would love to buy some new things for my home. Love the stuff on Wayfair! Cool post! I love your website and this competition is brilliant. Wayfair has some ace products! I think it’s great to encourage toddlers to help out. My daughter loves helping with laundry. What an amazing giveaway. Thanks for the chance. 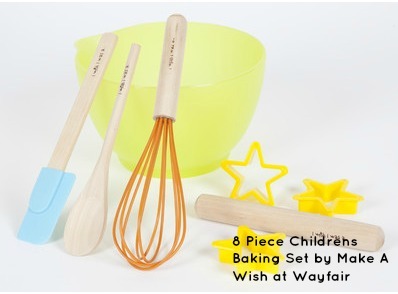 What a treat it would be to win this prize – Wayfair has so many lovely items to choose from. Lovely prize, thank you for the chance. I’ll definitely be trying these out! A very useful reminder to think differently about children and household tasks. Thanks! I’ve always wanted to take the kids on this, looks brilliant!! Helping with the chores is a real learning expereicne for children, too. Social skills are obvious – learning not to always have someone clear up after them for example – but think of the sorting skills in putting away that cutlery, putting the washing in the machine and so on. With my own children such activities were always followed by some together time such as a game or sharing a book so that it became part of their expectations for the day. Great prize thanks, fingers crossed! Thank you for the giveaway! I am loving the toy chest! Too cute! Brilliant choice of items for all aspects of the home. some fab items on the website! Great post. I think it’s essential that children learn how to take care of themselves and the home. They’ll certainly need to do it when they grow up, so it’s best to instill good habits at an early age. Love getting the kids involved in cooking, it is always good fun. Great giveaway! I wish my little ones were so keen to help with housework! Great giveaway, thanks for the chance!!! A wonderful prize, thanks for offering! Many thanks for running this lovely giveaway. And some great ideas to get the kids involved in household chores. My daughter is 4 and she loves to ‘help ‘! Initially I used to distract her as sometimes it would just create more work for me. But I have found it really helps build her confidence and she feels good she has helped and that she can be responsible. Her favourite jobs are setting the dinner table (minus crockery and glass), clearing the table, putting shopping away and getting a damp cloth and wipe cupboards and tables. She actually enjoys it! How long it will it last though? ! I’ve never had the pleasure of shopping with Wayfair! Looks like a great company. I LOVE Wayfair. Such a great brand. I’d have so much fun choosing what to buy with this voucher! Thanks for the chance! This is great although I’ve just spent all naptime looking at the Wayfair site instead of doing chores…oops! Ha ha – oh well! Your housework attitude is like mine. I hate it, wish I lived in a cave so I could hose it down every now and then. I know what you mean about having to do chores, when the little ones want you to play. It’s not like we want to do them is it! Love your ideas, always great to have help! Fingers crossed!! Would love to win! Would be simply brilliant to win this fantastic prize!! Some fab gadgets to help speed the process along, and some great tips to spread the work around the family! Wayfair has so many gorgeous items, I could go made there!!! Great prize, thanks for the opportunity. Great ideas and a Fabulous prize!! The Children did enjoy helping with the chores when they were very young, but now the novelty has well and truly warn off lol! Thanks for taking the time to host a giveaway. Fingers crossed. Would love to win this competition. Great prize, thanks for running it! Lovely Givaway. My three year old loves to get involved. He likes to help unload the washing machine and helps me make dinner. We used to do some of these things with my son when he was little, now he’s a teenager it’s tough getting him out of bed let alone doing chores! Great prize, thank you. Sounds llike you have a very helpful little on there! 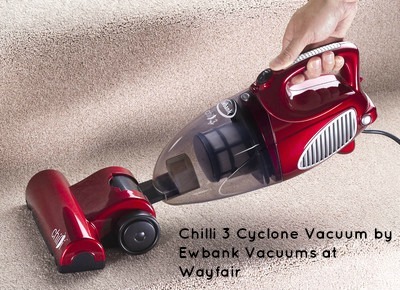 I love the look of that little vacuum by Ewbank – think that might be on my list if I win! Wayfair do have some lovely things don’t they? That toy chest is so cute and so useful! Hoping to be lucky! Thanks for the chance! I’d love spending this great prize, I’ve already seen some fab things! Great ideas! My daughter has a love/hate relationship with the hoover, she wants to help but hates the noise, might have to get her a toy one!! I think involving children with household chores is a great idea! amazimg giveaway love it everything crossed! This is a fab competition! 🙂 I’d treat myself to something for my new house if I won. Lovely giveaway. I am re-arranging the kids rooms so this would be amazing to help! This would be absolutely Amazing to win! Good luck fellow comrades! What all parents should do! Getting children to help by having fun is a great way to teach them and they will also learn to respect things more. I love these ideas 🙂 it always amuses me how every young child adores the vacuum cleaner, then by the time they get old enough to use it it’s like the devil incarnate! I would love to get my daughter something nice for her rented flat as it’s rather characterless. Thanks for running the giveaway. Thank you for the opportunity to win this fantastic prize! Good luck everybody. What a fantastic prize. Love Wayfair! How lovely that your little one is so involved in household chores – long may it continue! My boys are often very willing to help out, but it also depends whether they are on Xbox or not! Hi, lovely blog and fab giveaway! The vacuum cleaner is in the same bracket as hand-dryers in public toilets, motorbikes and hairdryers for my toddler – too terrifying for words! The rest she’s on board with. You are clever, making good habits into fun. Fab giveaway! Love the blog! This is a great blog, always good ideas. This is great, it’s definitely encouraged me to get my little man (3 1/2) to “help” more as he does love it when he gets involved. We’ve got a reward chart too and he’s recently been asking me what he can do to get a sticker so I’ve got some more ideas here. Thanks. Wayfair is also a fab company, they have loads of great things so fingers crossed! Great giveaway and hints on how to involve little ones in the day to day chores!